For quite some time it has been known how the exchange offices in downtown Prague rip off tourists. Sometimes they get as little as 15 Czech crowns for 1 euro. The political movement STAN wants to prevent such practices. They prepared an amendment to the law on exchange activities that should help tourists. According to the suggestion, people should be able to withdraw from the money-exchange agreement within two hours after its execution. “There are exchange offices where we discovered fraudulent behavior repeatedly in the last few years,” says Vit Rakusan, one of the proposers. In his opinion, such behavior damages the good reputation of Prague and of the Czech Republic. “We came up with a simple amendment to the otherwise functional law. It enables [people] to register a complaint about the transaction within two hours. 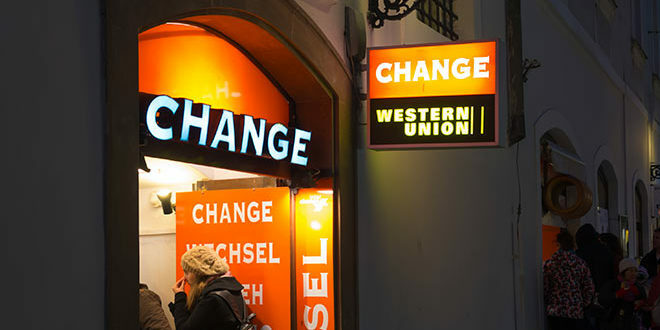 It is a solution recommended by money exchangers themselves, because they want the unfair ones to be punished so that the image of the Czech Republic can improve,” Mr Rakusan said. He thinks that even such a small detail can help improve the reputation of Prague and tourists will be more likely to visit the Czech Republic. “In a situation when income from tourism reached 108 billion CZK in 2015 it is in the interest of the capital city and the whole Czech Republic to support tourism,” states the explanatory report. The parliament members will discuss the amendment on Thursday at the first reading. However, the minority government of ANO took a negative stance in the middle of March, saying that the suggestion was not properly processed. The Cabinet wants to present its own amendment to the law on exchange activities, which is also supposed to protect the clients more. The government should discuss it by the end of June.